Let it never be said that Nintendo is above making bad puns. 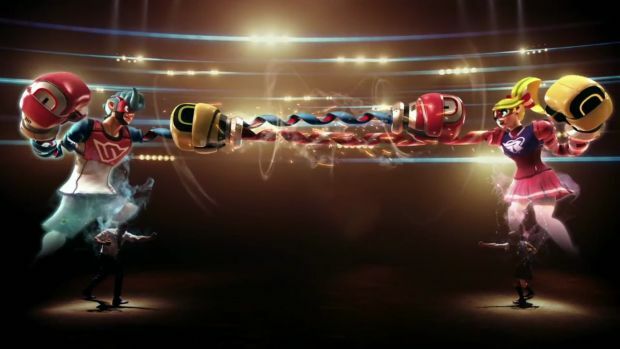 They have released the newest advertisement for their upcoming new IP ARMS, an arena fighter from the makers of Mario Kart, and it, cheekily enough, challenges you, the player, to answer the call to ARMS. Insert cringe and groans here. Of course, the ad itself seems to be fine, showing lots of game footage, and the potential for multiplayer. The only problem is that it exclusively shows off the motion controls for the game. Now, don’t get me wrong, ARMS‘s motion controls are fantastic- but they are an option. If you want to play with regular controls, you can. By not at least showing that for a couple of seconds, Nintendo may be perpetuating the impression that the game is exclusively played with motion controls, and be turning many who had enough of motion controls back in the Wii era off from even trying the game. ARMS is due out exclusively on the Nintendo Switch come June 16. In the meanwhile, you have the chance of playing the game some for yourself this weekend during its Global Testpunch.